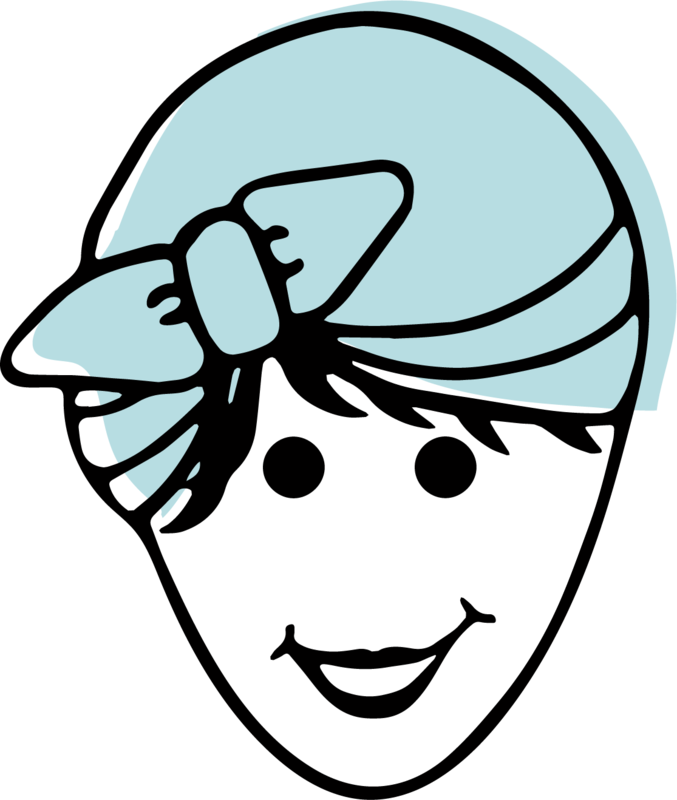 Laundry is a personal subject – you have your own method, your favorite brand(s), and your laundry schedule. 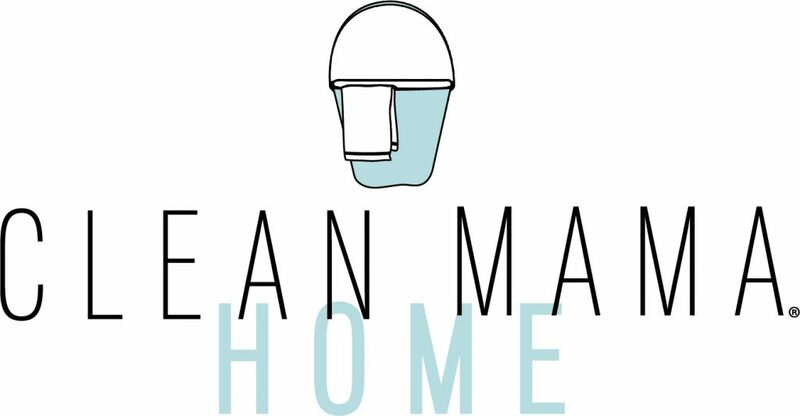 In this Modern Day Homekeeping Series I thought it would be ‘fun’ to answer some laundry questions and help you get a handle on your laundry as well. My best laundry tip? Do at least a load of laundry from start to finished and put away every day. This is the only way I can keep on top of the endless laundry situation and it keeps it from getting overwhelming for me. Regardless of your method of doing laundry, it’s never a bad idea to make your laundry area a little cuter. 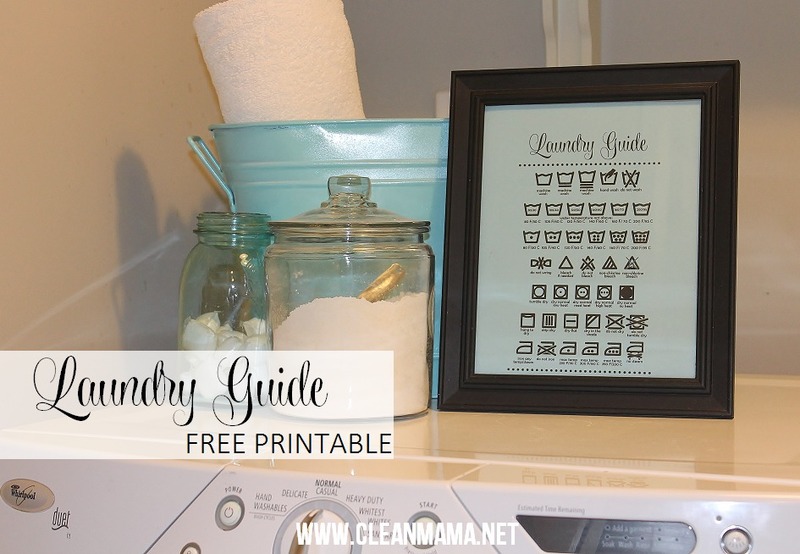 Today I’m sharing a printable Laundry Guide you can pop into an 8×10 frame, on a clipboard, or place where you’ll see it in your laundry room. 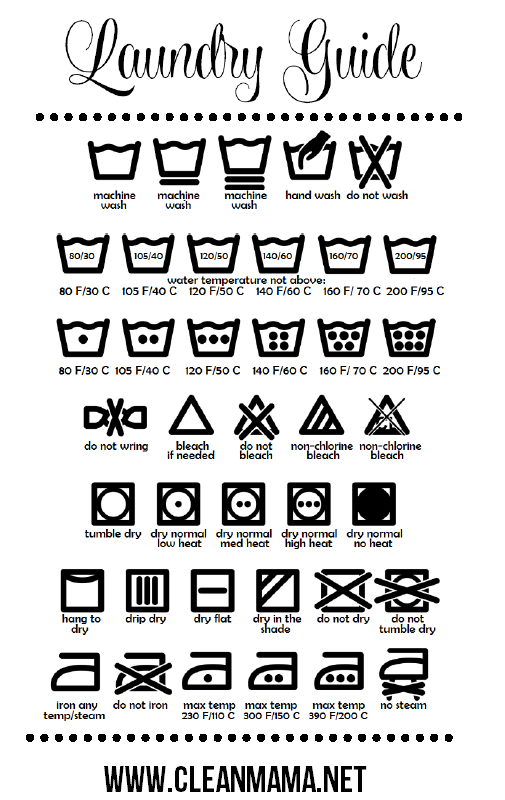 Not sure what the laundry symbol on your new shirt means? Consult the laundry guide! I printed mine on aqua cardstock and printed the larger size – there’s a smaller size too if you’d prefer that for a quick reference laundry guide. (The glass soap next to the guide is my DIY recipe.) Any laundry questions for me? Leave them in the comments and I’ll answer them in the next post. Happy laundry-ing! Both FREE printable laundry guides are available here in my shop or if you’d prefer, you can grab them from googledocs (small and regular). 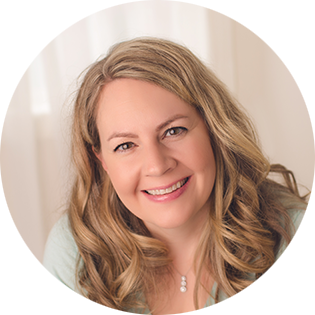 Subscribe to the blog (just pop your email address in the box on the sidebar) and follow along socially! 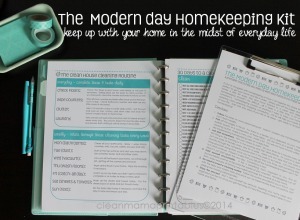 The Clean Mama Modern Day Homekeeping Kit – designed to help you (and me!) keep up with your home in the midst of everyday life. I just ordered your book from Amazon! Looking forward to using some of your recipes. Just wondering, do you have recipe(s) in there for stains as well? There’s a page with stain treatments for specific stains AND a laundry chapter too! I’m new to front loaders. What is the best way to use them. How full is too full. Can I put 8 pairs of jeans in at once? Also, how to use some of the other compartments. I used to use vinegar in the wash in the fabric softener section of the top loader. Is that the same with a front loader? Thanks. We inherited a new front loader when we bought our house, so was unprepared. If I use vinegar I put it straight onto my load of washing. Though I’m not sure if thats the correct way, but it works for me. Thinking about getting HE front load washer/dryer. What kind do you have and do you like it? Also, I’m changing to white towels and wonder how to keep them WHITE! Especially washcloths that I take off make-up with. Thanks, you’re my favorite blog!!! We got about 6 months ago a Kenmore Elite front load washer and dryer. Love it! It takes us half the time and washes so much better than our older one. Big tip for whatever front load one you pick is to leave the washer door open to air dry after it’s been used. If you keep it shut it can grow mold fast. The biggiest issue people have is with that, but if you are good about cleaning it and air drying, it works great. Also, ours is much quieter than our old one except for when the drum flips the laundry in the very beginning. When it’s flipping the laundry it thuds and that is sometimes loud, but over all it’s so much more quiet. Love all the settings new ones have so you can really pick the right clean and the best drying times. Ours even has a steamer for when you need to just freshen it up or have left it in the dryer to long and it’s all bunched up. How can I prevent my fitted sheets from getting balled up in the dryer? I’ve tried adding a few clean tennis balls to the dryer load without any luck. Help! I just bought your book and I’m hooked! I am curious about the sink scrub. Is it safe to use on my porcelain sink? What is your take on dryers? I don’t own one & I have never really liked them. I dry all my clothes naturally but sometimes, especially now in the winter time I have to hang them inside & they can take over night to dry. I’m sure this couldn’t be good for my clothes. Any advice would be appreciated. I have a front loader LG its almost 11 years old and until this last year was perfect not a single problem I did cloth diapers for two of my kids in this one also no issues either I have three boys and the laundry never ends I put in large loads most of the time and it cleans no issues I do wipe the rubber seal down inside and out side of it to keep any issues of mold or germs growing and do a special very hot cycle once a month. I have not had such good luck with my LG vacume but the washer is wonderful. I love this! I am working on my laundry “closet” right now and I just printed and framed this guide. I’ll definitely be posting a link to this on my blog. I’m trying to find this printable in your shop but I can’t seem to find it. Is it still available? since 2009, Germany has banned the sale of Borax to end users. I just bought your book, am delighted and want to get started. But no borax to be found!! Any possible substitutes for Borax in laundry soap or methods of obtaining it that you know of so I can get away from products that I am allergic to? Thank you for the printable chart. I’ve been needing one of these in my laundry room!